A T-bone steak contains a T-shaped bone in the center. It is made up of two different cuts, one on either side of the bone, the strip steak and the tenderloin. T-bone steak is tender and juicy with medium fat content that helps the meat retain flavor. 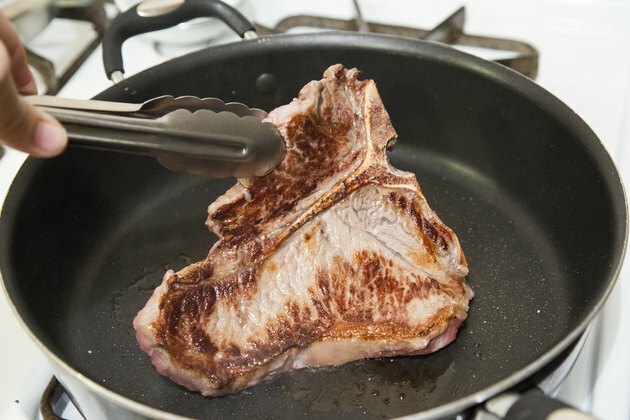 Cook T-bone steak in a frying pan to crisp the exterior and lock moisture within. Coat both sides of a T-bone steak in the cooking oil. Sprinkle the ground black pepper and coarse sea salt over the oiled meat. Set the T-bone steak out at room temperature for 30 minutes. 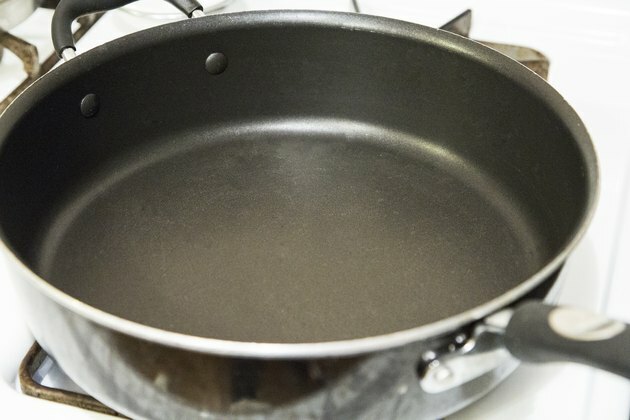 Preheat a frying pan over high for five minutes. Place the seasoned steak into the heated frying pan and allow it to sear for seven minutes. Flip the steak and allow it to continue searing for four minutes. 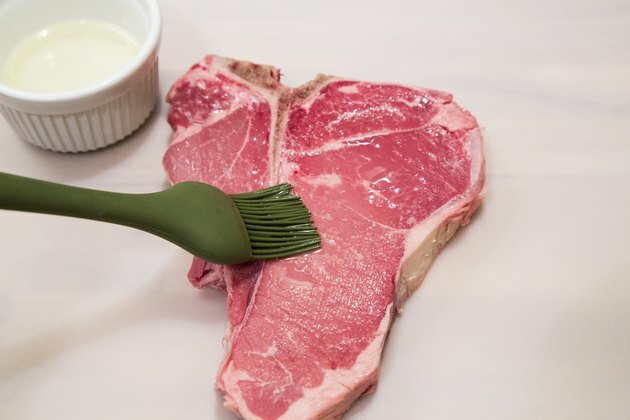 Remove the T-bone steak from the pan when it registers 140 degrees Fahrenheit on a meat thermometer. Ensure the thermometer does not touch bone when you take the temperature reading. 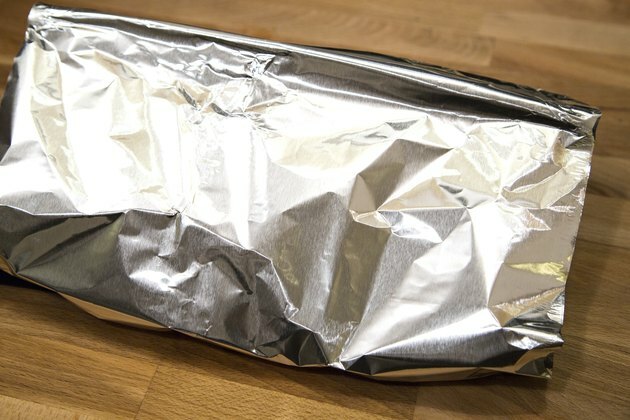 Place the steak onto a clean surface and cover it in a tent of aluminum foil. Let the T-bone steak rest for five minutes. Serve the pan-fried T-bone steak while hot. 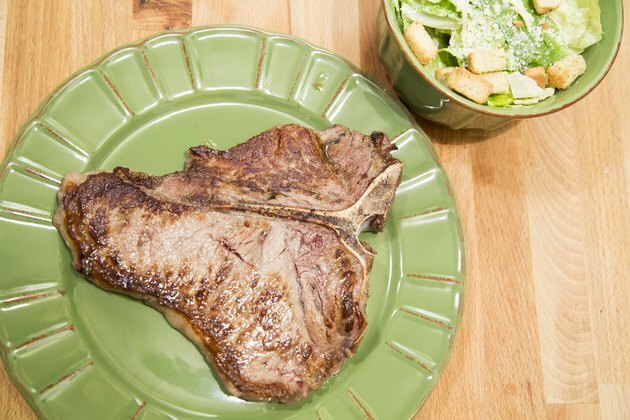 Refrigerate leftover T-bone steak immediately and eat it within two days.